Whirlpool is one of the leading kitchen appliance manufacturers, making refrigerators, dishwashers and many appliances in between. 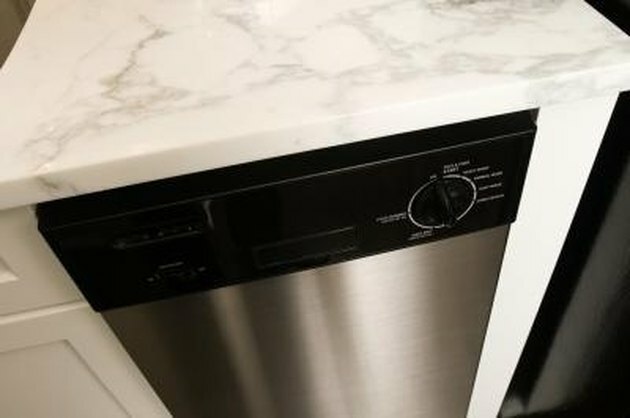 Some models of Whirlpool dishwashers offer filters to that prevent food scraps and particles from ending up back on your dishes without venting them down the drain, which can clog. Keep these filters in working order by cleaning once or twice a month. Whirlpool designed the filters to be easy to access and clean -- so no excuses. Open the dishwasher and locate the lower filter, a flat screen beneath the spinning water spout. Remove any food debris with a paper towel and throw into the trash. Grab the top of the upper filter, a circular ring in the lower filter. Rotate it one-quarter turn to the left and lift out of the assembly. Rinse the upper filter under hot running water. Use a soft old toothbrush if the debris is not coming loose. Replace the upper filter by placing it into the assembly and rotating it a quarter turn to the right.